USJJF's National Program of Traditional Jujutsu.!! If your focus is training in Traditional Jujutsu - You Are Home..!! Folks, the inauguration of a Traditional Jujutsu Division within the USJJF is, without doubt, a historic event and I wish to thank Bruce Bethers, our President, for his vision and support of this endeavor. I also wish to commend the members of the Traditional USA Jujutsu Committee (Ben Bergwerf, Bruce Bethers, Roger Jarrett, Ken Nazemetz and Kostas Dervenis) for their input and contributions to the development of this site. 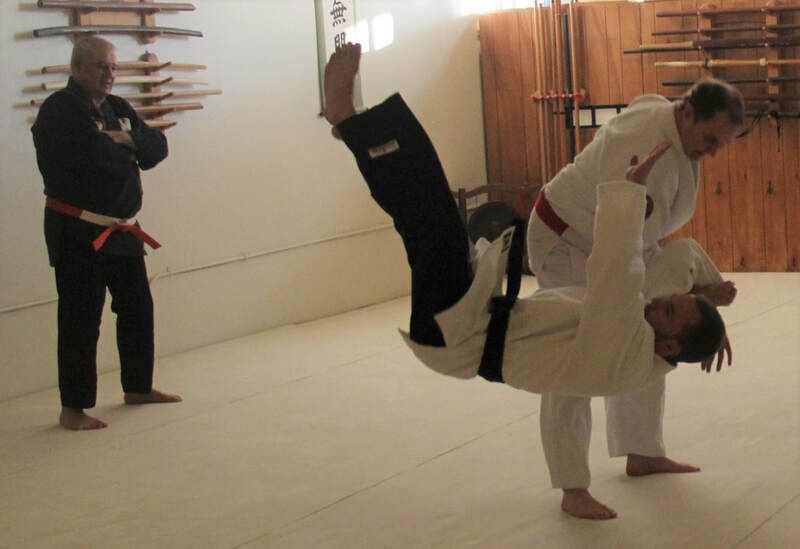 The Traditional Jujutsu Program of the USJJF focuses on Traditional, and Traditionally - based Jujutsu Systems in which the original emphasis on combat (offense and self-defense), and the higher goals of Budo are preserved, maintained and transmitted. If you share these values, beliefs and practices we invite you to join with us in USA JUJUTSU - the Traditional Jujutsu Program of USJJF.